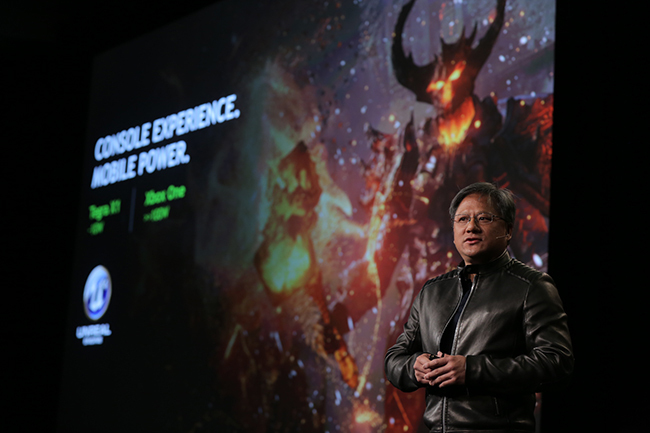 Nvidia has unveiled what is believed to be the first mobile ‘superchip’ at CES 2015: the Tegra X1. 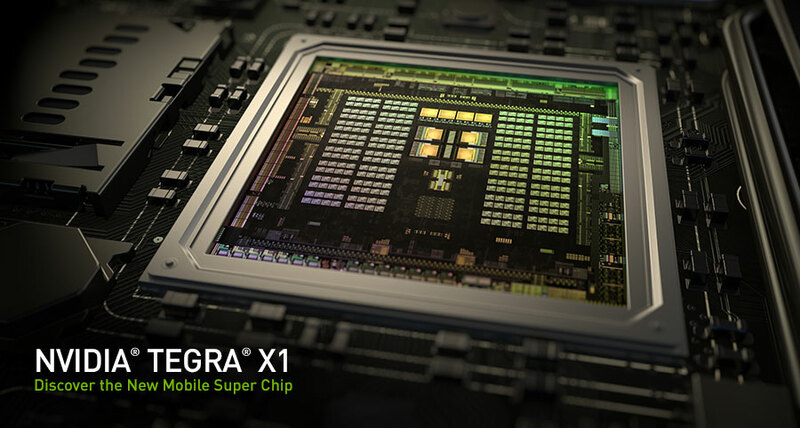 CEO Jen-Hsun Huang announced this addition to the Tegra line this Sunday, marking the moment as one of the most memorable ones in history, because Nvidia claims that this ‘superchip’ can give you the experience of playing on an Xbox right on your phone (no, we are not kidding)! X1 is the first mobile processor that is capable of achieving a teraflop of power, which is equivalent to the supercomputers found in 2000! This power is essentially the contribution of Maxwell, the GPU architecture for computers that was brought to notebooks a few months back by Nvidia, and had been talked about a lot. Nvidia has now brought the same architecture for mobile phones. The Tegra X1 packs in an 8-core-64-bit CPU and 256-core GPU, and together, they achieve the teraflop of processing power, which works twice better than the Tegra K1 mobile chip from previous year. These applications include games that we play on gaming consoles and computers. To demonstrate the capabilities of the chip, Nvidia presented a demo in the form of a simulated smartphone that rendered the Unreal Engine 4 “Elemental” in real time. This video contains graphically complex 3D scenes, and has been used several times previously to show the capabilities of video cards and consoles. 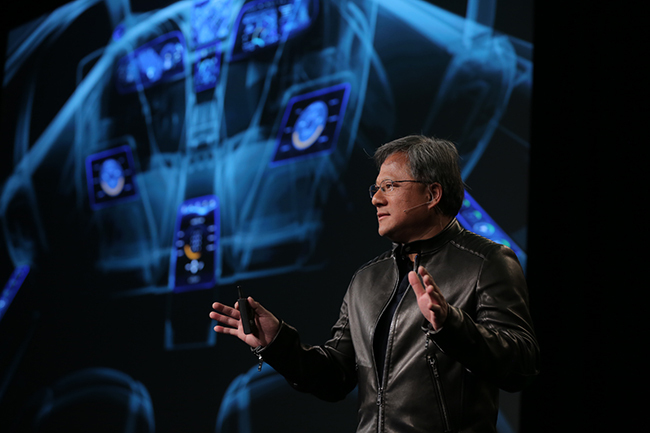 Although X1 could not run “Elemental” perfectly, Huang argued that power efficiency was what they were aiming for. This demo, while running off of X1, used only 10 watts of power; whereas about a year ago, Xbox needed 100 watts to run the same clip. This obviously indicates towards an impressive improvement, and considering a mobile device, it is way more than we can ask for. “Elemental” is the highest you can push your graphics card, and by running it quite well, X1 has guaranteed that it can run other less complex applications of your phone very efficiently and without stressing out your device. It’s no doubt that Nvidia is holding a monopoly in the market of PC graphics card with their GeForce GPUs. Now they have moved towards mobile devices, and are hoping to supersede the Snapdragon line. However lucrative the processor may seem, Nvidia believes that it might be too complex for the existing smartphones, and so they are currently using the chip to power ‘next-generation automotive hardware and software’.